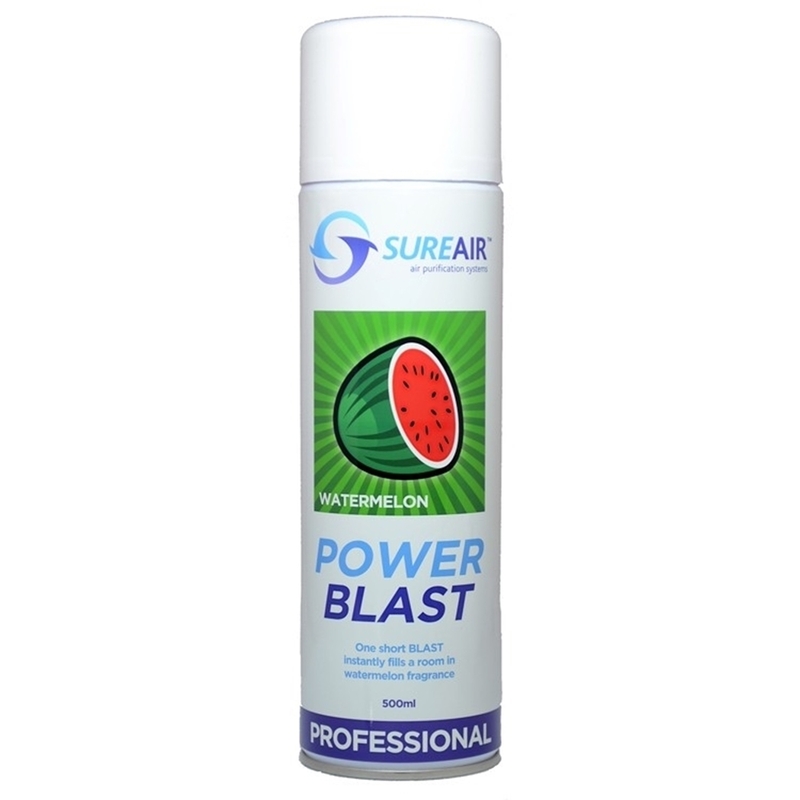 Sureair Professional Blast Air Freshener is not a standard aerosol air freshener - it's an innovative 'Blast' spray, which really is an impressive product. The action of the aerosol, is as the name implies a 'blast' - customers have compared it to the action (and sound) of a fire extinguisher. When the trigger is depressed it sends a blast of the fragrance throughout your room - which makes it suitable for a host of applications that your standard air freshener wouldn't be. One 'blast' will fill a large room with the fragrance and will last for 24 hours. The smaller the room, the longer the aroma will last - if used in an enclosed bathroom for example, the fragrance will be there 48 hours later. Because of the effectiveness of the fragrance it is recommended that the room is left unoccupied for a short period after application to allow the fragrance to disperse, settle and mature. To use: spray one burst around the room, pointing the nozzle upwards and away from the body. It can be sprayed on fabrics, but its always best to use an inconspicuous area first to ensure colour fastness.